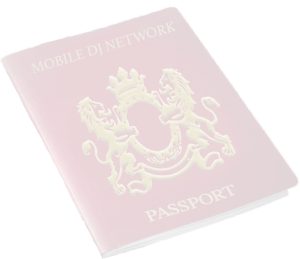 MDJN combines Mobile DJ Network and Photobooth Membership to give you FREE MDJN Public Liability Insurance (PLI) of £10m + FREE Employers Liability Insurance (ELI) + Free Products Liability Insurance and other benefits! MDJN Premium Membership includes Public Liability Insurance (PLI) of £10m + FREE Employers Liability Insurance (ELI) + Free Products Liability Insurance + £7,000 Equipment Insurance covering Loss or Damage and other benefits! Join THOUSANDS who are already enjoying our benefits! No waiting, no delays, apply at anytime and get instant cover! How do I get PLI? 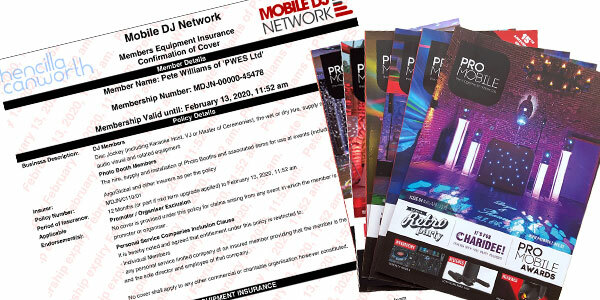 Thousands of Mobile DJs and Photobooth owners benefit from Membership. 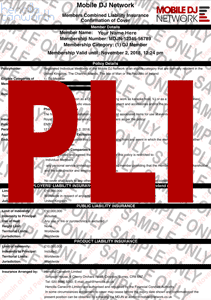 It's so much more than just PLI. We give our Members free Web Hosting, retailer and service discounts. Join today and take advantage of our Listing Service. Members feature on websites specific for what they do, Wedding DJ, Kids Disco, Photobooth etc. Clients then contact our Members direct for a quote. Or go direct to the Members' website, as we publish a direct link too! We can't think of a good reason why you would go anywhere else!